Pakistan Cricket Team's next tour after defeating West Indies at their home is of Zimbabwe where it will play two T20s, 3 ODIs and two test matches against the home team. Pakistani team will soon fly for Zimbabwe as tour is starting from 23rd August with 1st T20 match in Harare. Tour will continue till 14th September 2013. 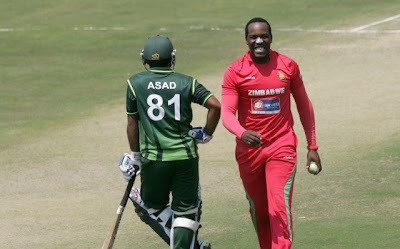 The team of Zimbabwe is much stronger as compared to it used to be few years back so Pakistan should not take them easy specially on their home grounds. Imran Farhat is once again back in the Pakistani team but only for test squad. Younas Khan is also back in test side. a new name Khurram Manzoor is also included in the test side.